Fastmetrics delivers dedicated business grade connectivity, phone and managed services to Sunnyvale businesses. 20 plus years of proven high quality business internet, hosted phones and fiber internet service. We serve small to large Sunnyvale businesses. Our foundation is built on high quality services and responsive, local customer support. We deliver dedicated internet, phone systems and managed services to Sunnyvale businesses. Is your business still relying on copper based internet service to support the demands of today's users? Video, cloud services, VoIP, streaming, CRMs...all require greater bandwidth and faster speeds. We have upgraded thousands of businesses from copper based service to fiber optic internet. The benefits are clear. Fiber internet is more reliable. Our symmetric fiber connects and uploads and downloads faster. Business phone services have also adapted. Choose from a range of handset options and increased redundancy. No longer does your business phone system have to be a cabinet hidden away in a back room, which only certain techs know how to maintain. Free unlimited calls across America and cheaper long distance with a managed phone system over our private voice network. We offer our cloud PBX solution to Sunnyvale businesses, in addition to our hosted business VoIP and SIP trunks. 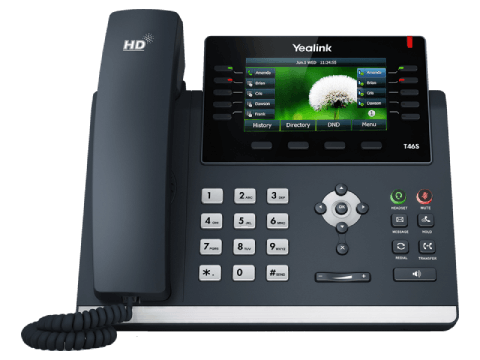 Choice of new Yealink or Polycom phones at your Sunnyvale business. Why should you consider Fastmetrics? What makes us unique to other ISPs in the area? A few things make us an ISP of choice. We summarize those points well in this table which compares our Internet services. All our Internet services are installed free on a 3 year term. Free IPs and hardware. Our installation fees for 1 and 2 year terms are competitive with all major ISPs. Contact us to find out more. All our business services are monitored 24 x 7 x 365. Supported by our local Technical Support Team, locally based in San Francisco. Our Support Team do a great job of...that's right - supporting you, when you need it. It puzzles us that other ISPs neglect this critical aspect of their business. Fastmetrics understands you don't want to be placed in a queue or speak to a recording when you need help or a solution. When you're setup on our network, speak directly to a tech every time you need one. Our Support Team receive great feedback for their work. We would love to help your Sunnyvale business. Connect with us by clicking on the button below, or start a live chat.